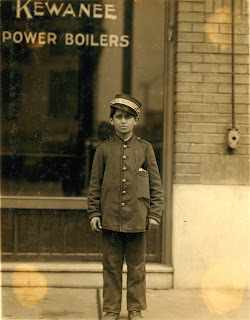 This FREE to use vintage digital photography image is of a small messenger boy in St. Louis, Missouri. Photograph by Lewis Wickes Hine, May 1910. What a lovely evocotive image.